As I was making these scones I remembered with love all the women who have had input into my scone recipe over many years. I thought of my grandmother who made a beautifully light pumpkin scone and taught me how to use just the right amount of flour when cutting out scones. I saw my friend Lyndal showing me how to use my hands to plump up and create perfect scone circles. I recalled my mother showing me how to use a knife to mix them together. I gave thanks for my friend Trish who first introduced me to lemonade scones. I also thought of the many, many times I have made them with friends – for afternoon teas, school fetes, wedding showers and church camps, sometimes hundreds at a time. I am so grateful for the women who have shaped not only my cooking, but who I am, through their influence, guidance, knowledge and love. Thanks to you all. Preheat oven to 200 C. In a large bowl place the flour, the cream and the lemonade. Mix very quickly with a knife until just combined. 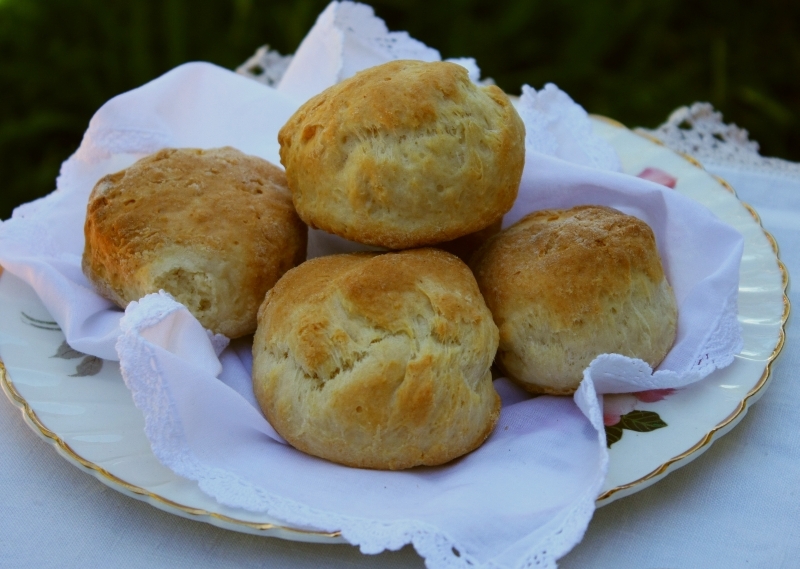 Scatter your benchtop with about 1 tablespoon of extra flour and turn out the scone dough on the bench. Very lightly knead until the dough is smooth and then press out with your palms to a thickness of about 3 cm. Use a scone cutter to cut out the scones, and then gather up the extra bits of dough, pat them together and continue cutting out until all the dough is used up. You should get about 12 medium sized scones. Place in the oven and cook for 10-15 minutes, until golden. Serve warm or cold with jam and dollops of whipped cream. Scones are not my strong point. I have tried on several occasions to ‘whip up a batch’ and have failed. Sad face. 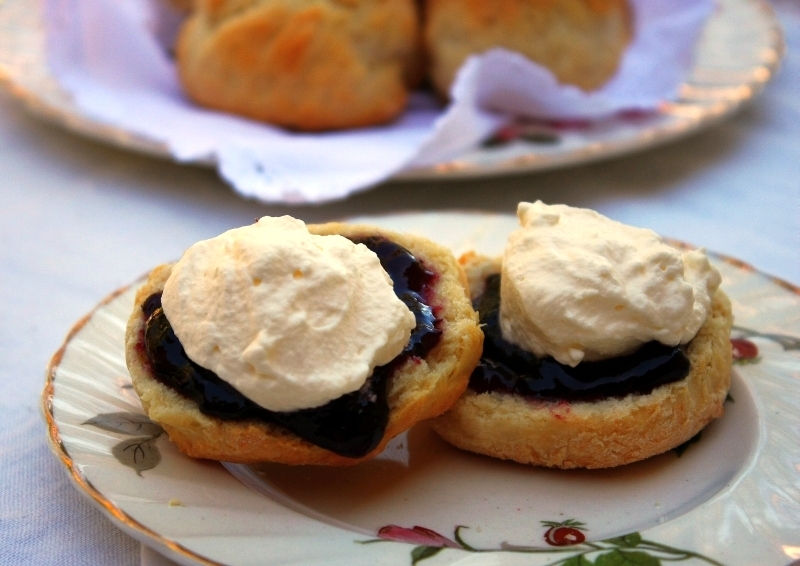 I have scone envy from your pictures. They look rather perfect. Maybe a need to try again!